My beautiful Gertrude Jekyll rose is about to bloom — time for a Rose Drop. This recipe was recently featured in the May 2017 Sunset magazine. Enjoy! For me, the garden is a place of deep inspiration for my cooking. I have a beautiful rose bush* — right now in full bloom with deep pink, fragrant blossoms. 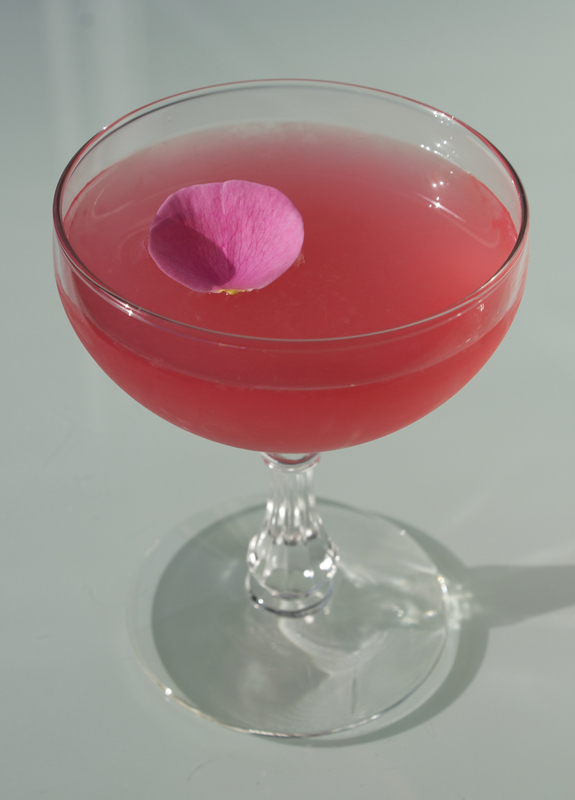 A few years ago, while weeding alongside this righteous proclamation of Spring, I envisioned a cocktail — the Rose Drop. I imagined the luscious scent of my rose concentrated in one beautiful cocktail. 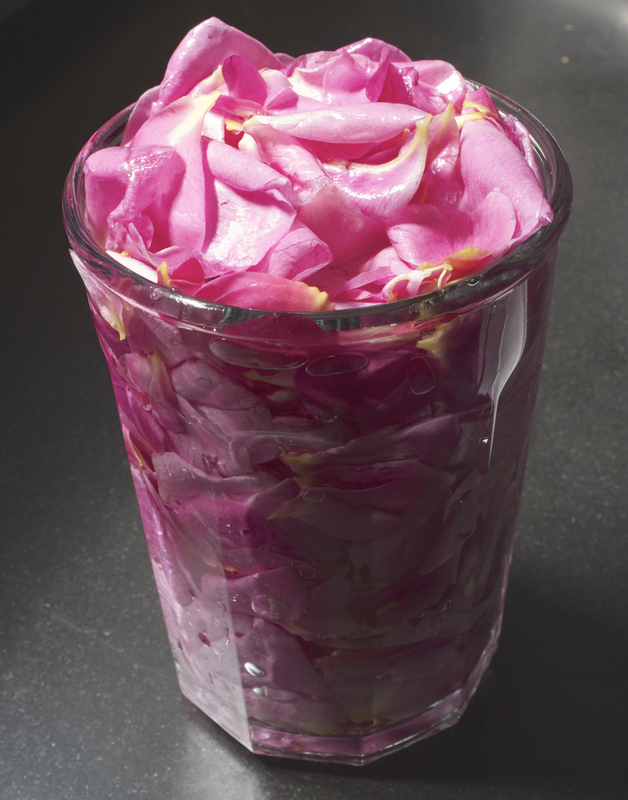 After a bit of tinkering, I was rewarded with a lovely surprise when I infused the petals of this rose, which I reveal to you in the recipe below. Enjoy! Start by picking 9 – 10 full rose blossoms. 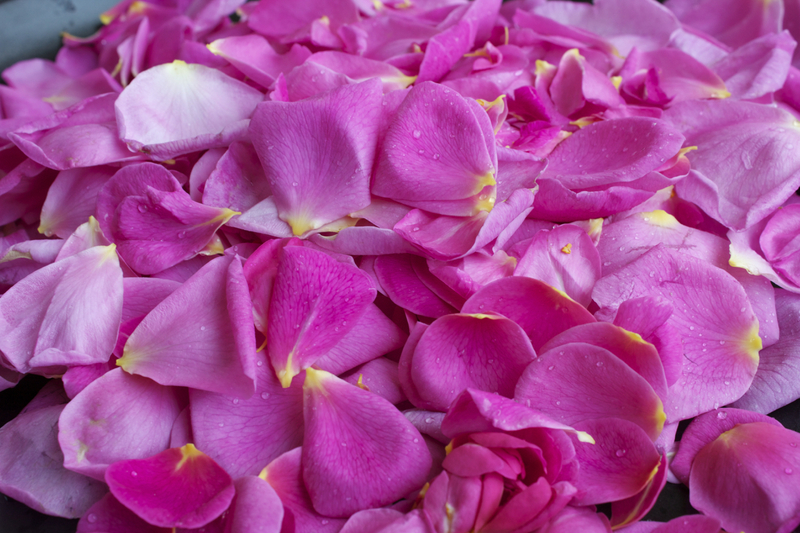 Rinse them and pluck the petals. 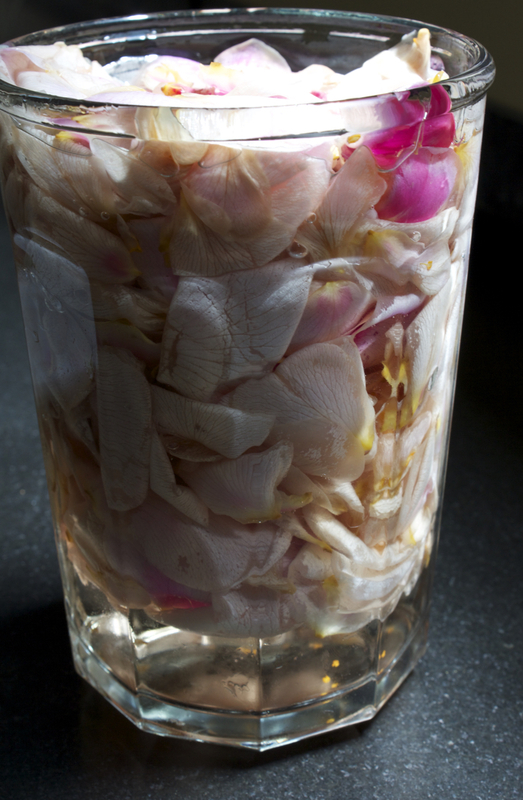 Lightly pack all the petals into a large lidded jar. I used a 20 oz glass lidded working jar. Add vodka to the brim, then cover and place in the fridge. Give it a shake after an hour or so. Stir all ingredients together until very cold. When you add the lime juice to the rose infused vodka the beautiful colors of the rose revert to their acidified state and shine brilliant pink. And the rose scent blooms in the glass. Strain into two lovely cocktail glasses, garnish with a rose petal, and enjoy. 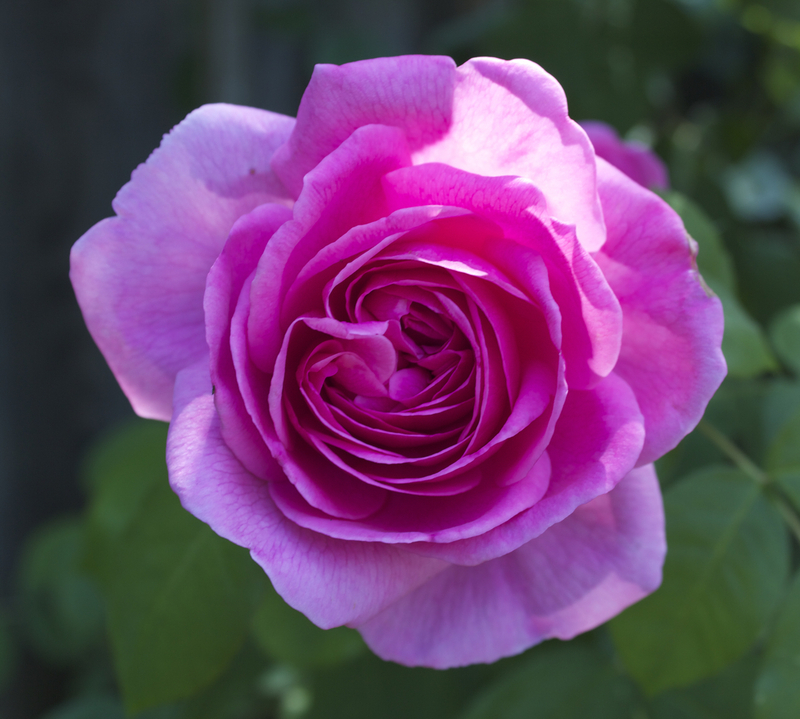 * My rose bush, a Gertrude Jekyll Rose, is grown with no pesticides of any kind. This is very important for using roses petals in cooking — don’t use any roses if you’re not entirely sure that there are no systemic or foliar pesticides that have been used on your flowers. 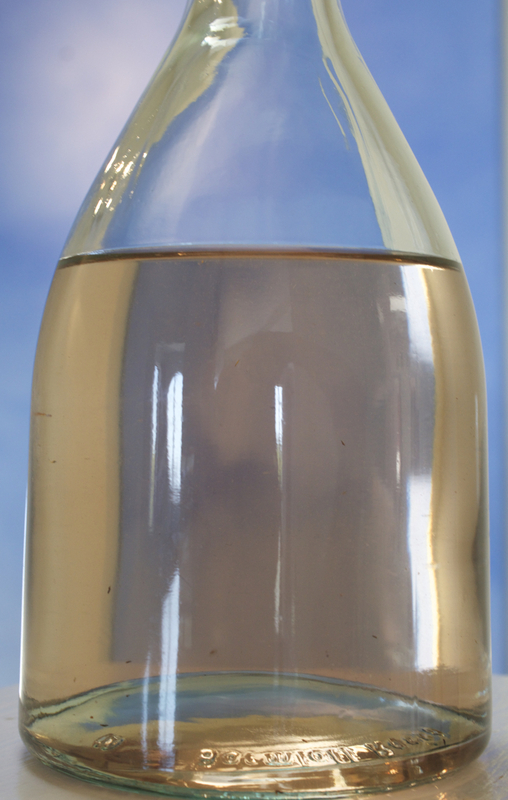 **simple syrup: Blend equal proportions by volume sugar and boiling water. Cool before using. Thanks for your comment! Hope that you have fun trying out your own version of the Rose Drop. Beautiful! I’m hoping someone will share some your other wonderful garden successes like growing salad ingredients beautifully in your driveway median!